Is KC Concepcion Dating Her Long-Time French Suitor? 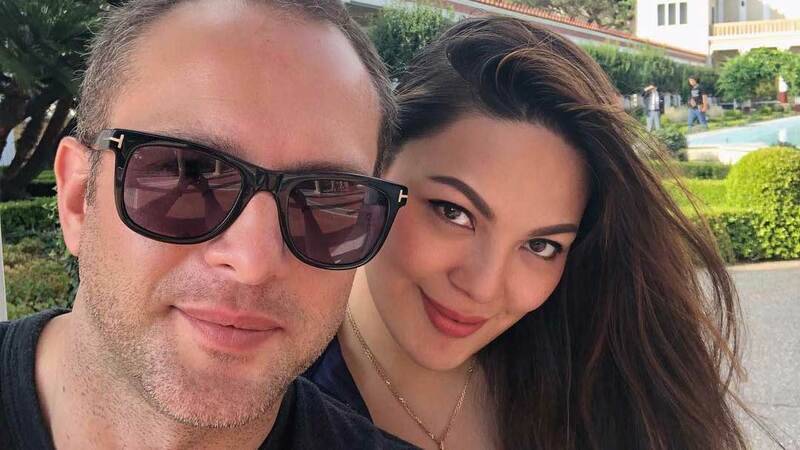 KC Concepcion had her Instagram followers on a frenzy when she posted on IG a photo of her with a long-time suitor and friend, Pierre-Emmanuel Plassart, aka Pep. The caption of the post reads, "Warm, genuine, timeless." KC has talked about Pep in the past. In an article published on February 28, 2013, on PEP.ph, KC said that she and Pep met in 2011 at a gala dinner hosted by former United States President Bill Clinton in Los Angeles, California. The PEP.ph interview was held after KC tweeted, "Pep is a great person I spent some time with, never met anyone as sweet as he is. But I'm not ready to be so serious yet. :) Need time :)"
Fast-forward to 2018: KC is back in California, and the two seem to be picking up where they left off. In the comments section of KC's Instagram post, a user with the handle @jm_malintad wrote, "This type of man is the 'one' who can handle a type of woman that [is] independent, passionate, [free-spirited], and beautiful inside [and] out..."
KC agreed, saying, "I think so too." Another Instagram user, @_jdgvela_, wished that the two end up together: "I hope HE's the one already for you, KC. You guys look good together." KC replied, "God's timing is perfect." There were also fans who were commenting about KC's ex-boyfriend, football player Aly Borromeo. They said they were heartbroken when she and Aly broke up. 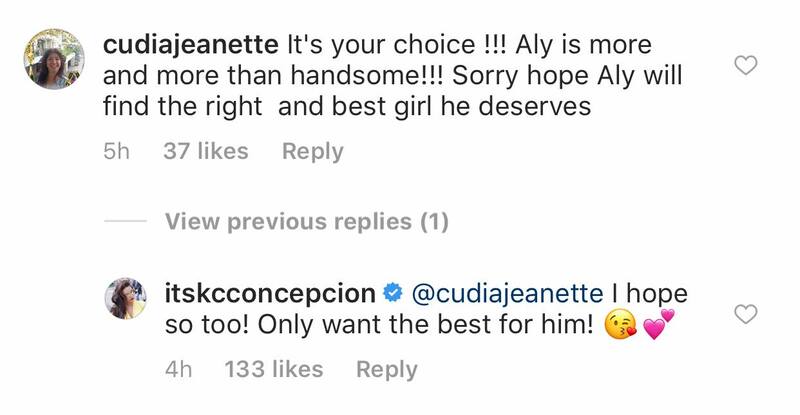 KC confirmed her breakup with Aly in March 2018. One netizen wrote, "Hope Aly will find the right and best girl he deserves." KC's reply was sweet: "I hope so too! Only want the best for him!" User @foxxymango asked if Pep is KC's "new boo." KC did not answer the question; she only said, "He sends his love. Shy guy." We're so happy for these two!